Science is always telling stories. Whether in the creation myths of evolution or the Big Bang, or in the eureka moments of science history, narrative just as much as metaphor is a key tool in the scientist's surprisingly literary toolkit. Perhaps the most interesting use of story is the thought experiment, the intuition pump, that draws on the most instinctive parts of the imagination to crack otherwise perplexing problems. From Newton's Bucket to Maxwell's Demon, from Einstein's Lift to Schrodinger's Cat, all are examples of 'fiction' being used at the highest level, not just to explain, but to deduce, to prove. 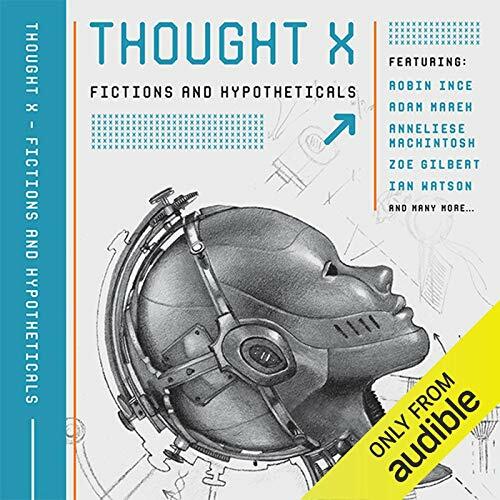 In this unique anthology, authors have collaborated with leading scientists, to bounce literary, human narratives against purely theoretical ones, alloying together real stories with abstract ones, to produce truly extraordinary results. Also featuring stories by Annie Clarkson, Marie Louise Cookson, Claire Dean, Andy Hedgecock, Sarah Schofield, Zoe Gilbert, Sandra Alland, Margaret Wilkinson, and Anneliese Mackintosh; plus afterwords by Professors Stewart Boogert, Sarah Bridle, Seth Bullock, Steven French, Roman Frigg, Frank Jackson, Michela Massimi, Tara Shears, Jonathan Wolff and Ana Jofre. Short story collections can often be uneven, and in some ways this was a really high variance one. Short stories also tend to throw me off sometimes because with each new story there is a different set of characters and universe to be imagined, and this collection was way too wide for me to keep pace. I did like a couple of the actual stories, but what,i truly enjoyed were the afterwords. I was familiar with some of the science but a fair bit of this was new to me.